VINCENT GELARDI, ESQ. (e-mail vg@vincentgelardi.com) was admitted to the New York State Bar in 1983, the United States Supreme Court in 1991, the United States District Court, Southern and Eastern Districts of New York in 1985 the Northern District of New York in 1999 and the United States Court of Appeals for the Second Circuit in 2011. He completed his education at the Columbus School of Law at the Catholic University of America in Washington D.C. in 1981 and is an alumni of Queens College of the City University of New York with over 30 years of experience. 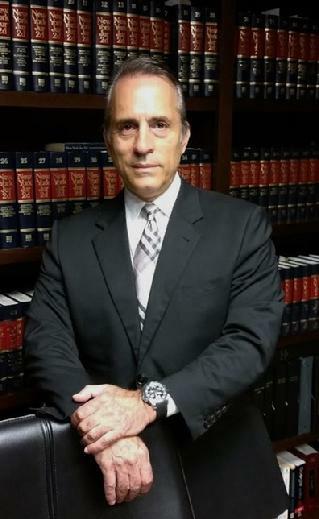 Vincent Gelardi has appeared in Federal District Courts in the States of New York, New Jersey, Pennsylvania, Maryland, Georgia, Connecticut and Florida. He has also appeared in State Courts in New York, New Jersey and Florida. Vincent Gelardi was also former associate counsel to the International Law Offices of G. Egidio, based in Rome Italy and appeared in numerous international criminal and civil cases. He has participated in hundreds of State and Federal criminal cases and has on numerous occasions been appointed as Special Prosecutor in the 9th Judicial District in New York State. Vincent Gelardi is an active member of the Columbian Lawyers of Westchester since 1990 and served as former President of the Columbian Lawyers of Westchester County (1998-2000) and served as President of the Confederation of Columbian Lawyers Associations for the State of New York (2000-2002). He is a member of the Columbus Club and has served on the Board of Directors of Boys Town. He is also a member of the New York State Bar Association and New York State Defender’s Association.